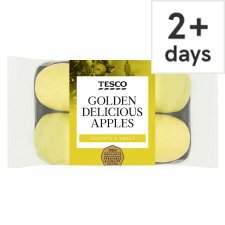 Delicate & Sweet Picked and handled with care to protect their light, delicate skin At Tesco we believe in the importance of expertly selecting our seasonal produce for its freshness and quality. Working in partnership with trusted growers from across the world, all our Golden Delicious apples are hand picked from carefully tended orchards. 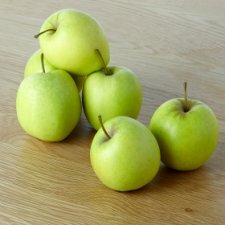 This ensures they are of the highest standard with a sweet, mild flavour.